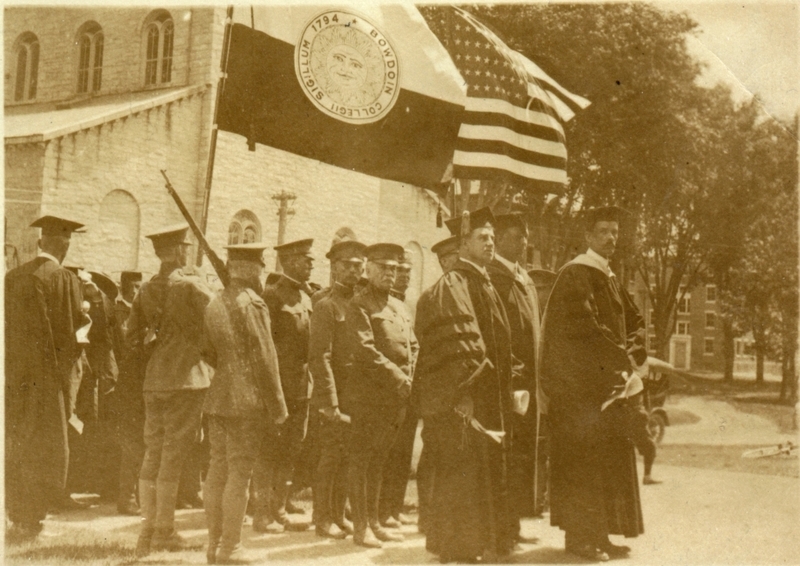 Scene from 1918 Bowdoin College Commencement (also President Sills' inaugural) showing Kenneth Sills and others in academic regalia along with men in uniform near the Chapel; United States and Bowdoin flags flying prominently. Loose photo removed from scrapbook in Kenneth C.M. Sills Collection (M166.6).